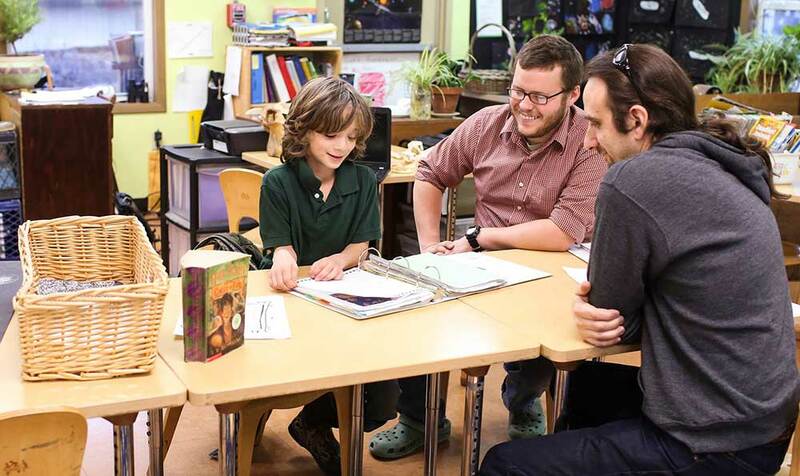 Our annual student-led conferences are one of the many things that make Ridge and Valley Charter School unique. Student-led conferences are meetings with students, parents, and guides, during which a student shares work and discusses his/her progress. The intention is for the student to lead the meeting from start to finish. Student involvement in a conference makes learning active, provides opportunities for students to evaluate their own performance, and encourages studentsto take responsibility for their learning. Having students take charge of the conference makes them more accountable for what they are learning. Allowing students to become more actively involved. Encourages active family participation in their child’s learning. Conferences are a wonderful opportunity for families to see, hear and experience their child’s learning and progress.